Financial performance management software plays a critical role in organizations. These tools deal with the full cycle of the finance department, including planning and budgeting, analysis, assessment and review, closing and consolidation, and internal and external financial reporting. With such a wide range of tasks, all of which impact various aspects of an organization, it is critical that FPM tools work well. The Ventana Research Value Index: Financial Performance Management in 2013 assess the various tools available and provides a review of their strengths and weaknesses to help you find the FPM offering best for you. 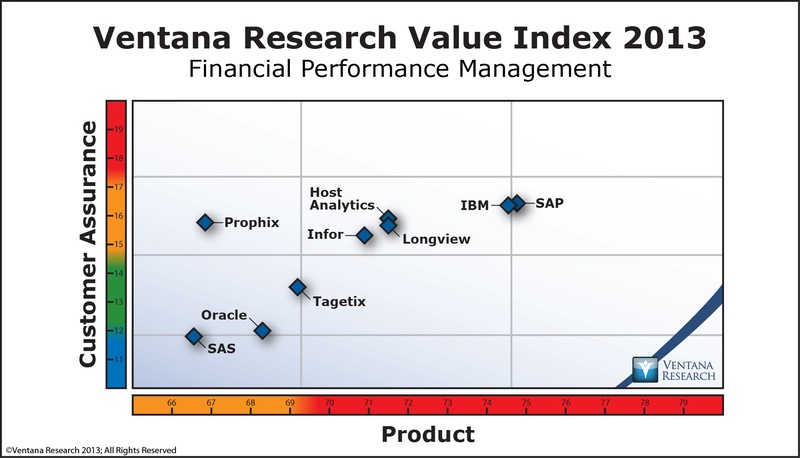 The technology vendors assessed in the 2013 Value Index for Financial Performance Management include: Host Analytics, Infor, IBM, Longview, Prophix, Oracle, SAP, SAS, and Tagetik.